The cross of "Pure Gold" and "104A" has been the cornerstone of our program for many years. Sisters to this female have topped previous internet sales and have been some of the breeds top producers. 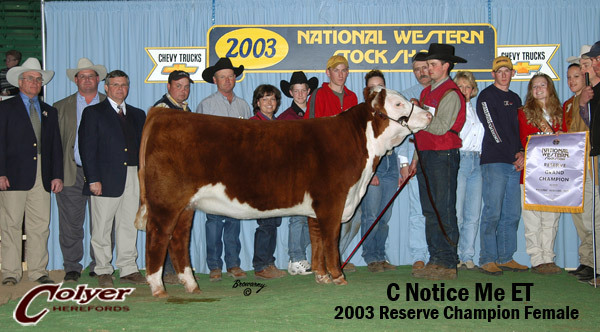 Her full sister, NOTICE ME, was the 2004 Grand Champion Female at the NWSS and Supreme Champion Hereford. 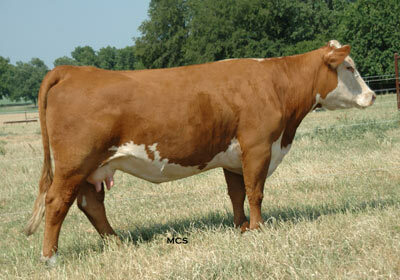 She has produced numerous sons and daughters that are working in purebred herds across the country. 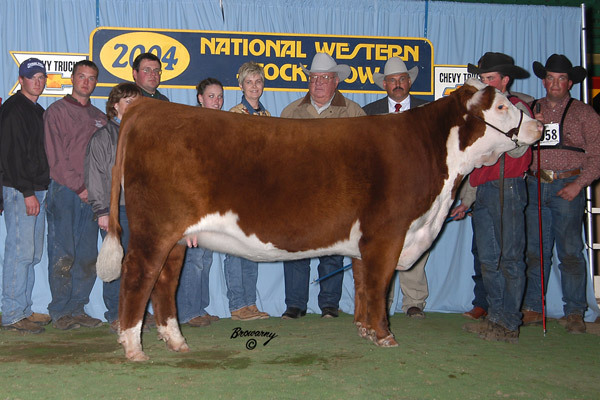 Notice Me definitely made her mark in the Hereford breed and has produced over $1.4 million in actual progeny sales. 7050 is a long bodied attractive female that has a great look from the side. Her eye pigment is an added bonus to her tremendous brood cow look. 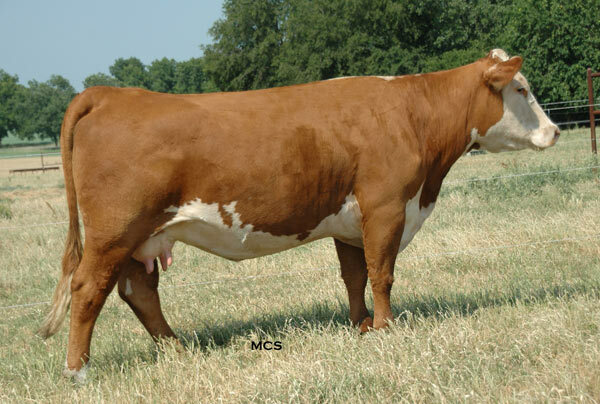 7050 was purchased by Nelson Land & Cattle in our 2007 internet sale. She had many top quality, high selling calves for them. We lost Notice Me a few years ago so we are extremely excited to have 7050 back in our herd and in our donor program. Look for more progeny coming out of her in the future.